Posted on 17 April 2016. I make reference to the article titled “New Constitution illegal” (Daily Nation, April 14, 2016) in which the Heritage Party president Brigadier General Godfrey Miyanda said that the newly amended Constitution should be declared unconstitutional, illegal, null and void. Which Zambians in their right legal minds can ask the Constitution Court to annul its originator, the same amended Constitution that actually established the Constitution Court and brought it into legal reality? What could be more paradoxically mind boggling than the current Godfrey Miyanda’s flawed petition? Even though, the Heritage Party president is always caught up in one controversy or the other, but he’s become even more contentious when he attempts to justify his petition contending that the amended Constitution left out the participation of Zambians through a referendum to give themselves the document according to the law. Yet, the General embarrassingly stated that according to constitutional provisions, Zambia was supposed to go to a referendum before President Edgar Lungu could assent to the draft document for it to become a Constitution. 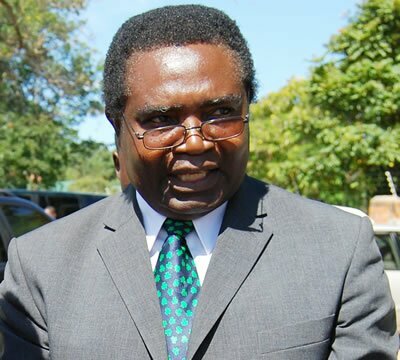 Demonstrating his lack of judgment, Godfrey Miyanda has remained mute and aloof on the question of his party’s participation in the August 11 polls when most of the opposition political leaders feel that it is acceptable to participate in the forthcoming general elections. For many, who passionately support the amended Constitution, especially the 50% plus one threshold provision, the Heritage Party president, has turned out to be a huge disappointment and time-waster. Thankfully, a referendum will be held alongside the August 11 general elections. No qualified football coach will complain that his team would lose due to poor officiating by referees even before they play the game. The UPND President is on record of having complained that the August 11 elections will be rigged by the ruling Patriotic Front (PF) even before people go to the polls! Prior to the January 15 Presidential elections, the UPND cadres intercepted trucks from South Africa on suspicion that they carried pre- marked ballot papers, but that was not the case and the party was forced to apologise to ECZ though the drivers of the same vehicles were harassed. Now HH is complaining about the printing company in Dubai which renowned politician VJ has cautioned us that it had pre-marked ballot papers in Uganda. 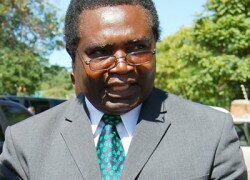 The complaint by HH may be valid but just because he is on record of being a cry baby each time we have an election ,this time he is complaining because he sees himself losing and has opted to playing the mind game on his supporters so that they don’t accept results of the forthcoming elections. ECZ has always allowed stakeholders to witness the printing of ballot papers up to the time they arrive in the country. These documents are followed up to the polling stations by stakeholders. So, why is HH crying? If the elections are manipulated, the opposition political parties have unserious monitors who can’t see what is happening. As far as elections are concerned, our ECZ is the best and most transparent and Mr Hichilema must stop complaining. HH has the potential of being a President but the problem is that he thinks he can ascend to power by bragging about his wealth. I am sure that I am not the only Zambian disappointed with HH’s silence over his vice president GBM’s invectives which have been widely condemned by all including the Church. Is it possible to conclude then that HH tolerates those insults which might injure his campaign for August 11? Just what is going on in UPND? Is this how this group of men and women is going to run the affairs of the nation if they can tolerate insults of that nature from its top leadership? In my opinion, if UPND does not deal with this tragic development, it will cost them votes. As for me, GBM can forget my vote. I am sure many others feel the same way.